I was totally unaware of the rare “sky phenomenons” last evening until my brother called and said, “got your camera ready”? I had a busy weekend with numerous things going on and if they had it on the news, I missed it. In case you didn’t know, there were several spectacular things happening in the heavenlies. 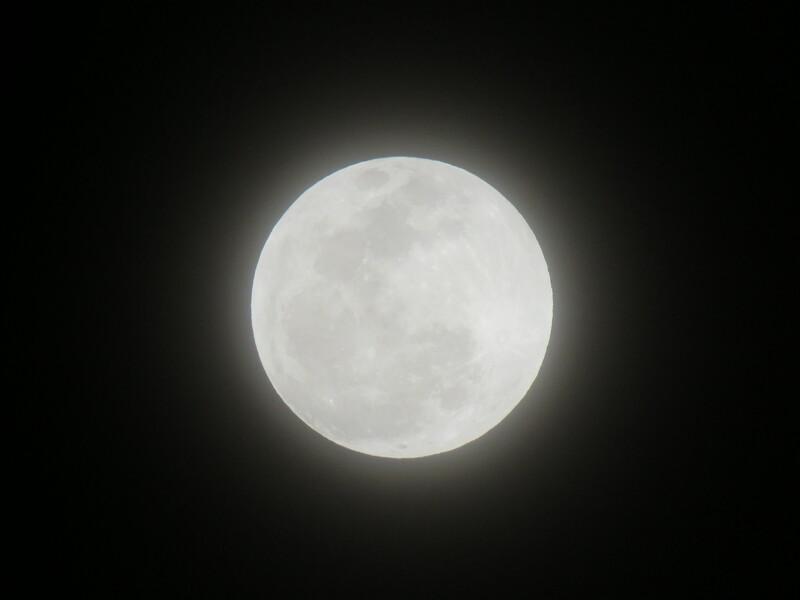 First, it was full moon, not just any full moon, but a Wolf Moon. Wolf Moon is the name given to the first full moon of the year. I didn’t know that! When the moon is at the closest possible distance to earth it is called a Super Moon which makes it seem extra large. So now we have a Super Wolf Moon. But wait, there is more. 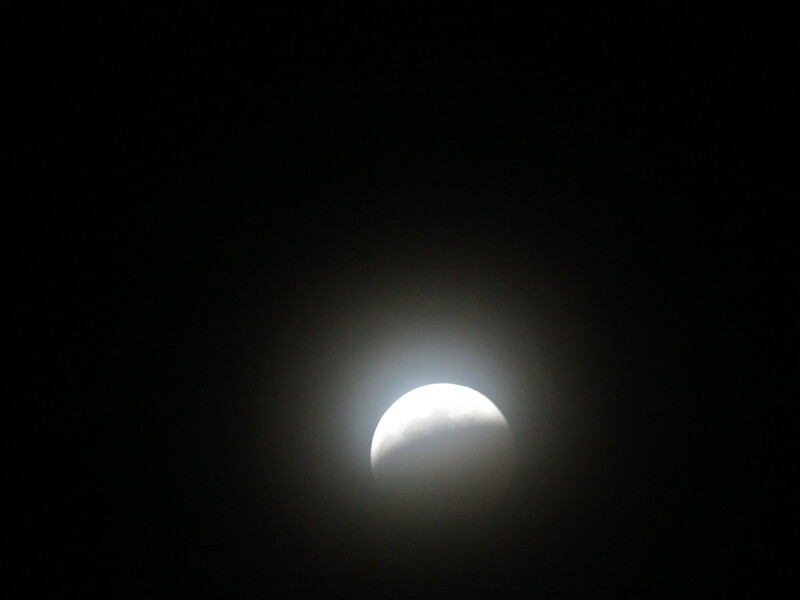 There was also a total lunar eclipse, making it a “Blood Moon”. This is a rare event only happening every couple of years. The next one is due in 2021. 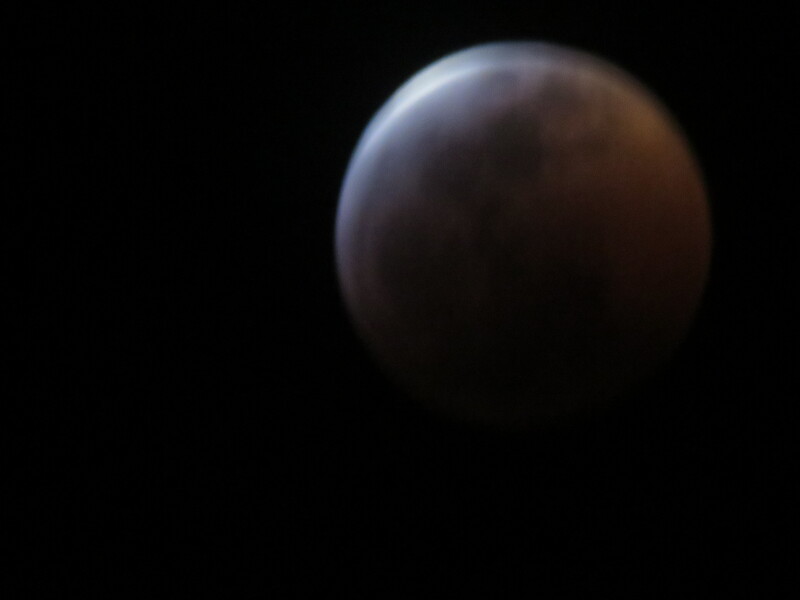 So now we have a “Super Blood Wolf Moon”! 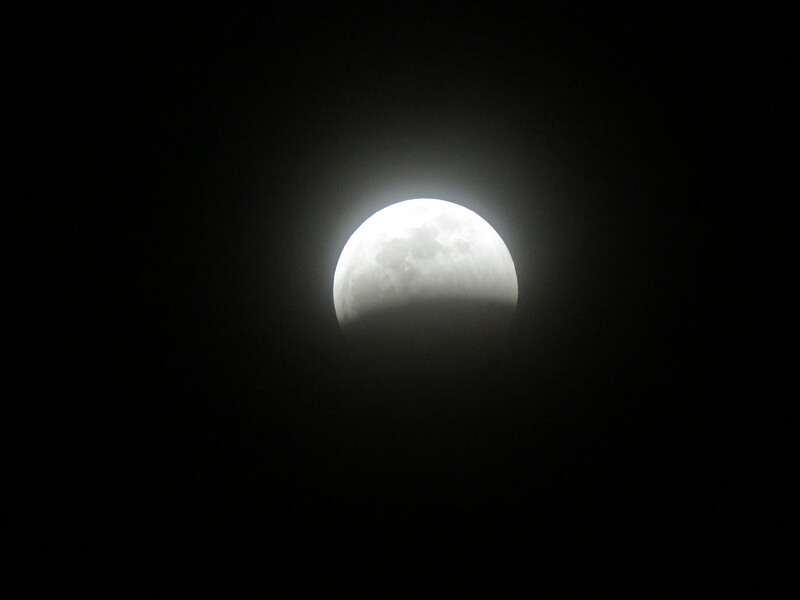 Often it is hard to see “sky phenomenons” because of cloud cover, but last night’s eclipse happened on a clear, cold, windy, star lit evening. It was visible for several hours from start to finish in all 48 states in America and Europe. But wait, there is even more. One hour before sunrise on January 22, Jupiter and Venus, the two largest star-like points of light in the sky will be lined up, passing within a mere 2.5 degrees of each other. This occurs only once every twenty-four years. (The above information was taken from the article by T.W. Tramm listed at the bottom of the page). 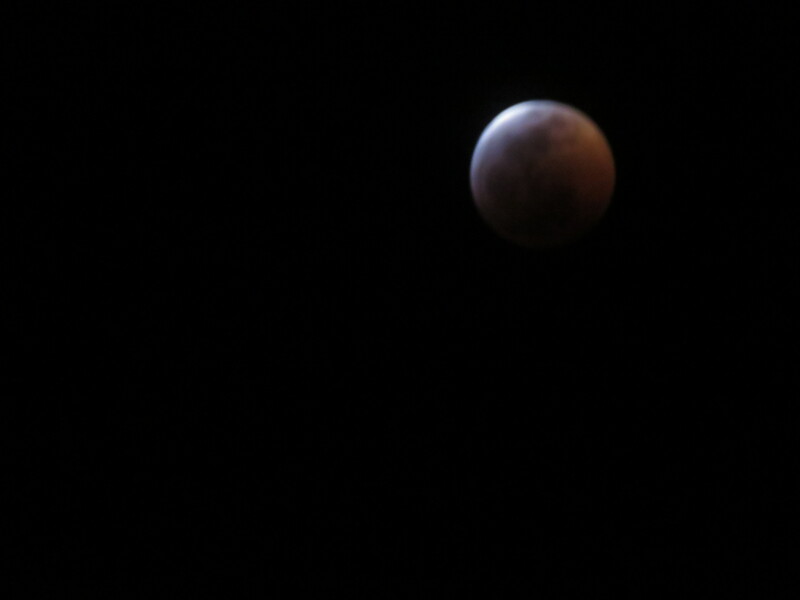 My camera usually takes really cool moon pictures but of the ninety I took before and during the eclipse and only six are worth posting. “The heavens declare the glory of God; the skies proclaim the work of His hands. Day after day they continue to speak; night after night they make Him known. They speak without a word or sound; their voice is never heard. Jesus disciples asked him one day when the end of time would be. For twenty-eight verses in Luke 21, Jesus speaks about the “signs” of his return. “……And there will be strange signs in the sun, moon, and stars. And here on earth the nations will be in turmoil, perplexed by the roaring seas and strange tides……”. There is a fascinating article written by T.W. 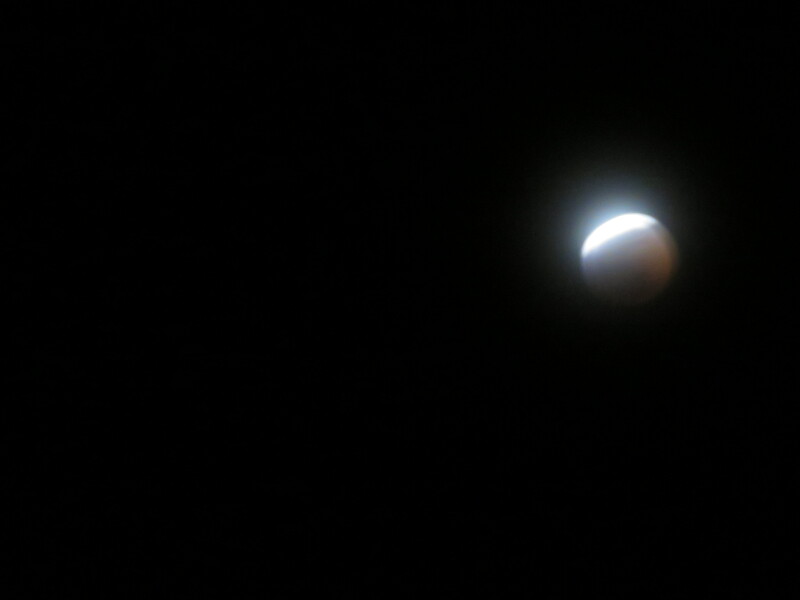 Tramm, “January 20 Lunar Eclipse: The Last Blood Moon of the Church Age?” that gives one pause. Mr. Tramm has a fb page where more of his writings can be read. The Lord is coming again, and scripture gives us many signs that signal it is drawing near. We must remember that no one knows the day or hour, only signs. God has proclaimed his intent and workings throughout history. There are many prophecies pointing to the future.